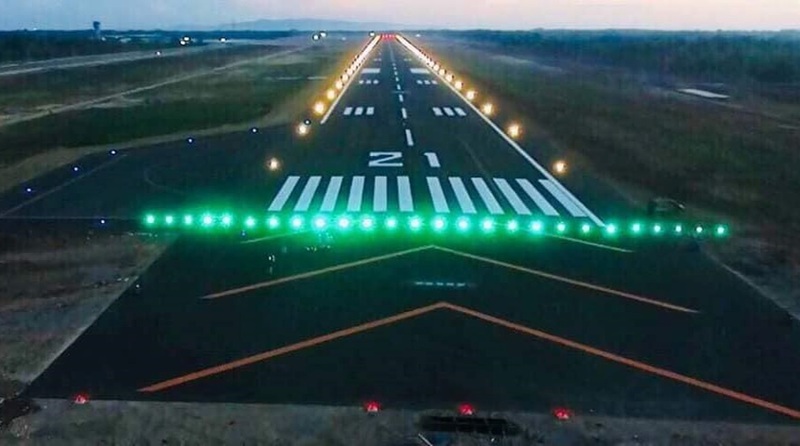 The Bohol Panglao International Airport will finally be operational in time for Christmas aviation rush as the Department of Transportation (DOTr) expects its inauguration in third week of November. The project sits at a 94.65% completion rate as of September 30 and is “expected to be inaugurated on 22 November 2018,” the DOTr posted on its website Monday. Gov. Edgar Chatto, in whose term the vital connectivity facility is concretely fulfilled, welcomed the latest information leading to the opening and operation of the modern new airport. During his visit here on Friday, Special Assistant to the President Christopher Lawrence “Bong” Go confirmed the expected date of inauguration, which will be led by Pres. Rodrigo Duterte. As revised, the DOTr earlier targeted the airport to be completed by end of October en route to its inauguration, the latter depending on the availability of the president. Meanwhile, Department of Finance Sec. Carlos Dominguez III, DOTr Sec. Arthur Tugade, Japan International Cooperation Agency Chief Representative Yoshio Wada and Embassy of Japan Minister Makoto Iyori signed in Manila the loan agreement for phase two of the same airport project. The loan finances the re-measurement of quantities and updating of cost of new additional equipment for the airport project due to revised scope and effect of foreign exchange rate between the PH peso and Japan yen. DOTr Usec. for Aviation and Airports Manuel Antonio Tamayo and Civil Aviation Authority of the Philippines Dir. Gen. Jim Sydiongco witnessed the signing. Designed to accommodate two million passengers a year, the airport project was implemented in ex-Pres. Benigno Aquino III’s time and is completed in Duterte’s incumbency, Chatto said.